These are all corticosteroid eye drops that are used to treat inflammation related to eye problems or after eye surgery. Your doctor will instruct you on the frequency of using these medications, which often start out very frequently and require a tapering schedule. These are usually in suspension form and need to be shaken before they are applied. All of these medications can potentially cause the eye pressure to silently increase over time and cause "steroid-induced glaucoma" which can be quite serious and lead to vision loss if not picked up and treated appropriately. Prednisolone usually has more of a tendency to raise the eye pressure compared to Lotemax ®, Vexol ® and FML ®. Steroids like these can also worsen an infection, therefore they must be used under the guidance of your eye doctor. If you have completed your course of any of these steroid drops, discard them by returning unused portions to your pharmacist or your eye doctor for proper disposal. Steroid eye drops should definitely NOT be used on a chronic basis unless monitored by your eye doctor and should NOT be shared with family or friends. 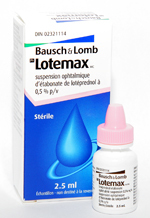 Other possible side effects of corticosteroid eye drops include dizziness, general malaise and fatigue. It is important to apply pressure to the corner of the eye(s) near the nose, after applying this drop so that it does not run down your throat into your body and cause such symptoms. If you are unable to tolerate this medication, contact the office first to schedule a prompt follow-up (if you do not have one already). It is not recommended to stop steroids abruptly, since this can cause the inflammation to increase suddenly. 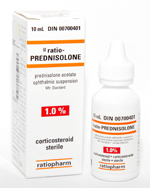 This is a corticosteroid that is available in drop or ointment form. The drops are given to control inflammation as explained above. The ointment is usually used at bedtime in the affected eye(s). This is used to treatment inflammation caused by various eye problems and after eye procedures or surgeries. This is a corticosteroid, therefore it can also potentially cause "steroid induced glaucoma" when used chronically. 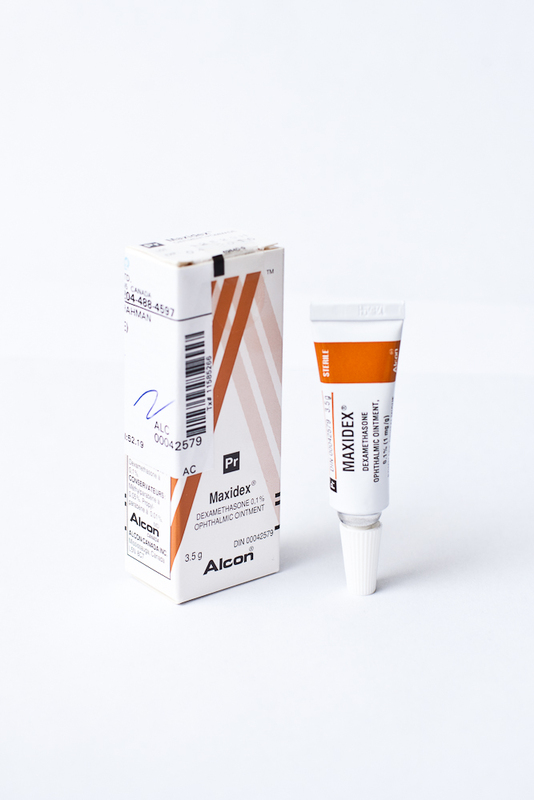 This medication should never be used without being monitored by your eye doctor. These are all non-steroidal anti-inflammatory medications that are akin to aspirin. If you are allergic to aspirin or related drugs, you should not take these medications. They are usually used after cataract surgery, or to treat inflammation at the back of the eye(s). These medications can cause delayed healing of corneal scratches or wounds, and need to be monitored by your eye doctor. They do not elevate the eye pressure. 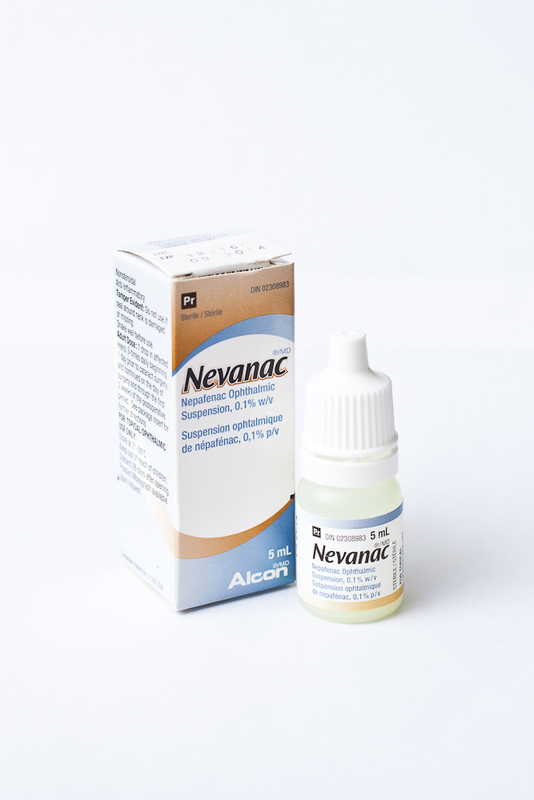 They are used 3-4 times per day in the affected eye(s), or as prescribed by your doctor, and do not require any tapering.